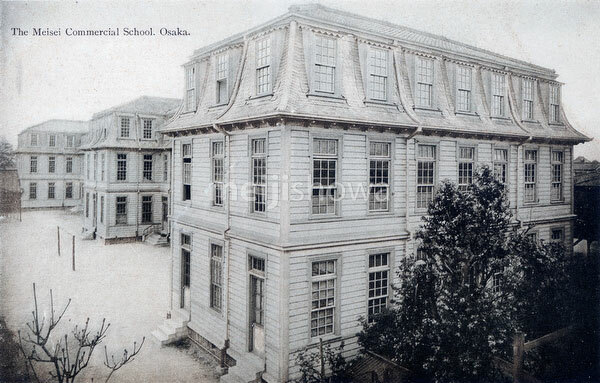 The Meisei Commercial School (now known as Osaka Meisei Gakuen, 大阪明星学園) in Osaka, established in 1898 (Meiji 31) by The Marianists (マリア会), a Catholic group of the Order of the Society of Mary. The building on this postcard was opened in Sennencho, Minami-ku (南区千年町) in 1903 (Meiji 36). The school still exists today.